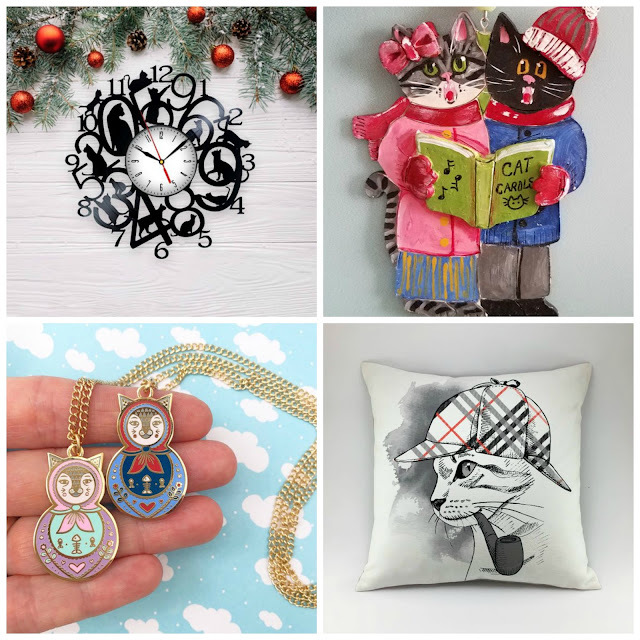 We hope you enjoy our picks, and don't forget, if you find something here you like and make a purchase using our affiliate links, I get a little money for my piggy bank so I can buy something special for Mommy for Christmas! I want those catnip baguettes! I didn't see those when I was doing my gift guide! That clock is the cat's meow! And it's not expensive either! I love the caroling cat ornament! These are all great finds. You got some sweet stuff there. You can send me that bed. MOL! TW used to have a real vinyl record clock in the old house. Oh my gosh, I want it all! What cute finds. WOW!! Lots of goodies there for mums and for we cats!! Wow, great finds! I love them all. I have two cats and my daughter has three. Some of these things would make great Christmas gifts for her...or even myself. 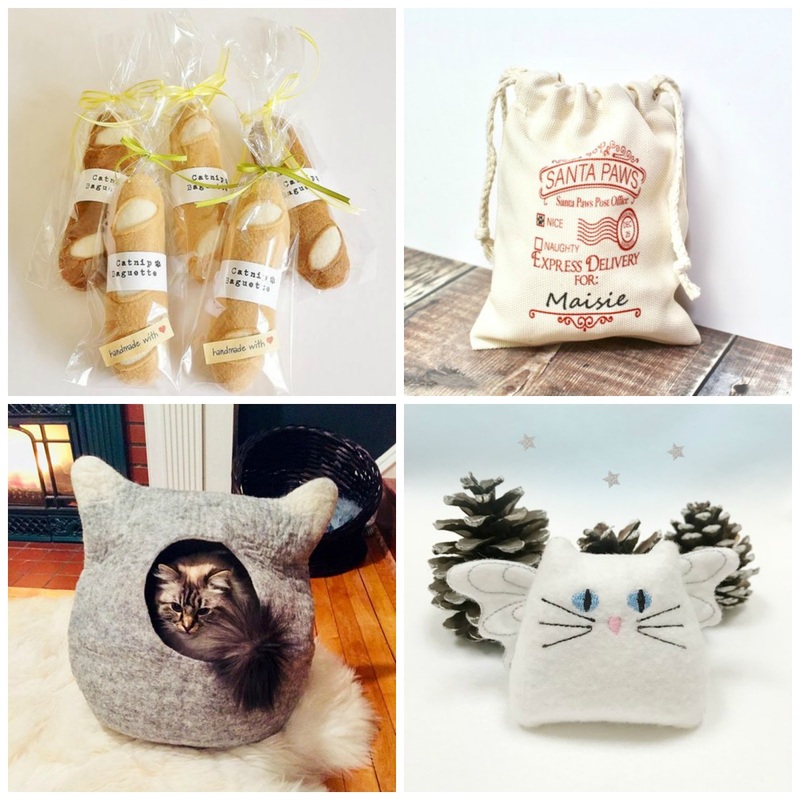 Oh, how I love when you share your gift guides for cats and cat ladies! I can't even pick a favorite out of these, though that clock is to die for. Last year, I oh so subtly showed my parents the cat bookends you shared on your 2017 gift guide, and they ended up under the tree and now have a home in my library. Thank you for sharing such adorable goodies!